Teresa Demjanovich was born in Bayonne, New Jersey on March 26, 1901. She was the youngest of the seven children of Alexander Demjanovich and Johanna Suchy, Ruthenian immigrants to the United States from what is now eastern Slovakia. She received Baptism, Chrismation, and First Holy Communion in the Ruthenian Rite of the Catholic Church at St. Joseph the Baptism Parish. Teresa grew up beside the oil refineries that mark the landscape of this portion of New Jersey. 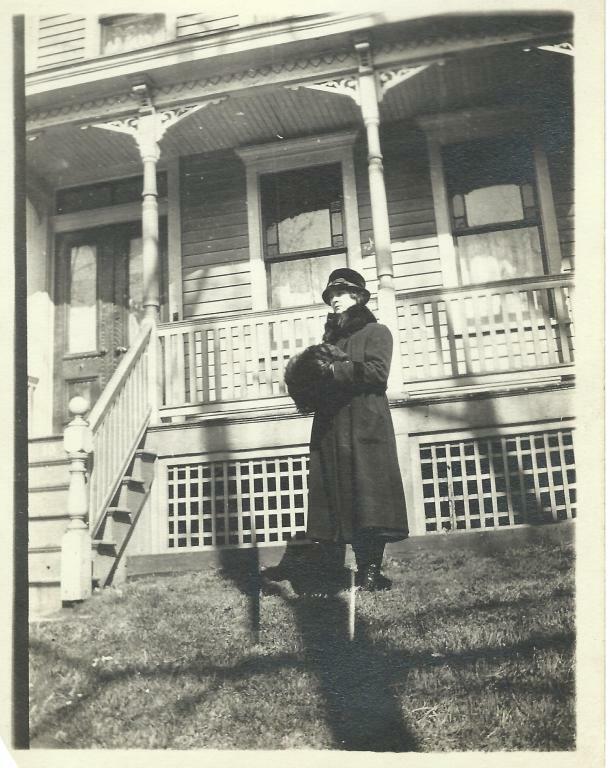 She completed her grammar school education by the age of eleven, and received her high school diploma in January 1917, from Bayonne High School. At that time, BHS was located in what is today know as Robinson School. At this time, Teresa wished to become a Carmelite, but stayed in the family home to care for her sick mother. 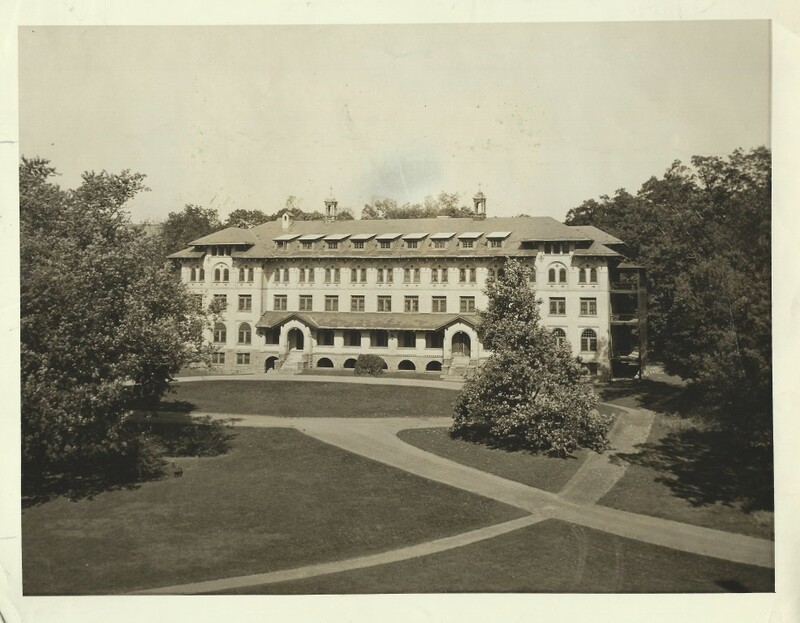 After her mother’s death in the influenza epidemic of November, 1918, she was encouraged by her family to attend the College of St. Elizabeth at Convent Station, NJ. 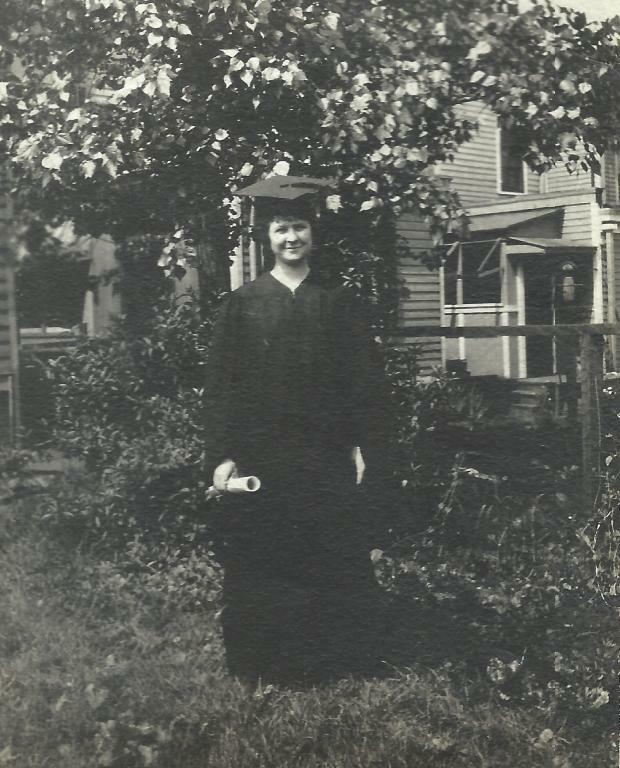 She began her college career in September 1919, majoring in literature; and graduated with highest honors in June 1923. Demjanovich longed for the religious life, but various circumstances made her uncertain which community she should enter. Meanwhile, she accepted a teaching position at the Academy of Saint Aloysius in Jersey City, NJ (now known as the Caritas Academy). During her time at the college, many individuals remarked on her humility and genuine piety. She could be found kneeling in the college chapel at all hours and was very devoted to praying the rosary. Demjanovich was part of the Saint Vincent de Paul Parish choir, the Sodality of Our Lady, and a parish community associated with the National Catholic Welfare Conference. During the summer and fall of 1924, Teresa prayed to discern the direction of her life. She visited the Discalced Carmelite nuns in The Bronx, NY. Because of several health issues, including headaches, they suggested that she wait a few years before applying. However, after consulting with her family, they suggested that she use her education to serve God in a teaching order. For the Feast of the Immaculate Conception that year, she made a Novena and, at its conclusion on December 8, she decided she was called to enter the Sisters of Charity of St. Elizabeth. She then planned to enter the convent on February 2, 1925, but her father caught a cold and died on January 30th. Consequently, her entrance was delayed until February 11, 1925, the Feast of Our Lady of Lourdes. Her brother, Charles Demjanovich, who was a priest, and two sisters accompanied her to the convent. She was admitted to the novitiate of the religious congregation and received the religious habit on May 17, 1925. She never received an official transfer of rite, and therefore remained a Byzantine Rite Catholic while serving as a Religious Sister in a Roman Rite congregation. As a postulant and novice, Demjanovich taught at the Academy of Saint Elizabeth in Convent Station during 1925-1926. In June 1926, her Spiritual Director, Father Benedict Bradley, OSB, asked her to write the conferences for the novitiate. She wrote 26 conferences which, after her death, were published in a book, Greater Perfection. In November 1926, Demjanovich became ill. After a tonsillectomy, she returned to the convent, but could barely walk to her room. After a few days, she asked if she could return to the infirmary, but her superior, thinking it odd that someone so young could be so sick, told her, “Pull yourself together.” When Bradley saw how sick she was, he notified her brother, who called one of their sisters who was a nurse. She went to the convent and immediately took Sister Miriam to the hospital, where she was diagnosed with “physical and nervous exhaustion, with myocarditis and acute appendicitis.” Doctors did not think she was strong enough for an operation and her condition worsened. Demjanovich's profession of permanent religious vows was made in articulo mortis (danger of death) on April 2, 1927. She was operated for appendicitis on May 6th, and died on May 8, 1927. Her funeral was held May 11, 1927 at Holy Family Chapel in Convent Station, New Jersey, and she was buried at Holy Family Cemetery on the grounds of her order's motherhouse. Favors and cures attributed to her intercession are continually being reported. 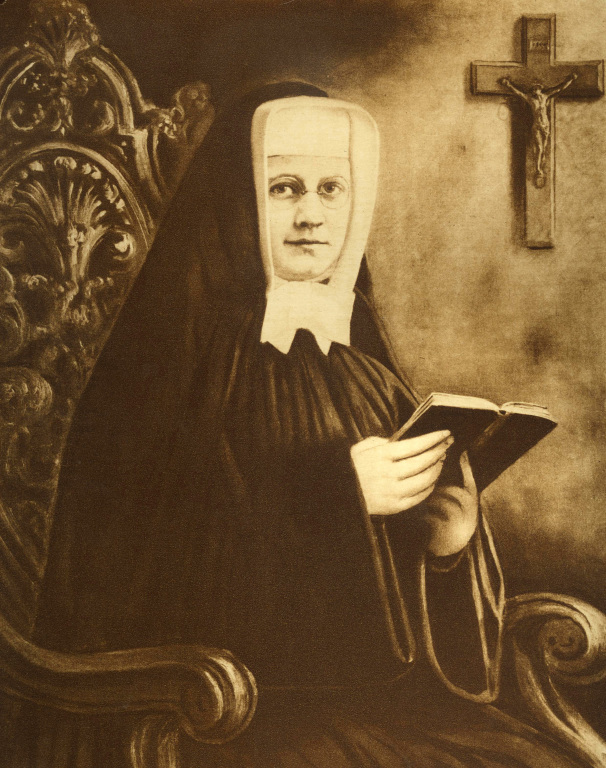 Because of Demjanovich's saintly life, her striving for perfection in her religious life, spiritual writings, and the favors received by others after her death through her intercession with God, the Sisters of Charity petitioned Rome for permission to open a cause for her beatification. In the latter part of 1945, a communication was received from the Holy See authorizing Most Rev. Thomas H. McLaughlin, Bishop of the Diocese of Paterson, in which the motherhouse of the Sisters of Charity is located, to institute an ordinary informative process concerning Demjanovich’s life and virtues. Rev. Stephen W Findlay, OSB, of the Delbarton School, near Morristown, NJ, was appointed procurator, and the official investigation began early in 1946. 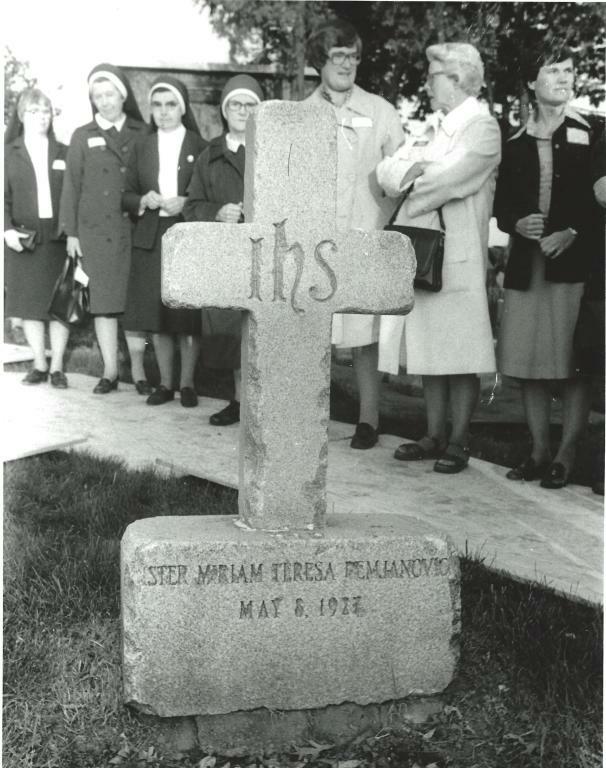 The Sister Miriam Teresa League of Prayer was founded in the summer of 1946 to spread the knowledge of her life and mission, and to work for the cause of her beatification. The headquarters for the League are located in the Administration Building of the Sisters of Charity of St. Elizabeth. Silvia Correale is the present postulator for the Cause of Sister Miriam Teresa in the Congregation for the Cause of Saints. On Thursday, May 10, 2012, Demjanovich, along with another American, the first Bishop of the Diocese of Marquette, Most Rev. Frederic Baraga, were proclaimed Venerable by Pope Benedict XVI, meaning that they are formally recognized as having lived lives of virtue and may be prayed to for intercession. On December 17, 2013, Pope Francis approved the attribution of a miraculous healing to the intercession of Demjanovich, opening the way to her beatification. It involved the restoration of perfect vision to a boy who had gone legally blind because of macular degeneration. Msgr. Giampaolo Rizzotti of the Congregation for the Cause of Saints added that the miracle took place in 1964. 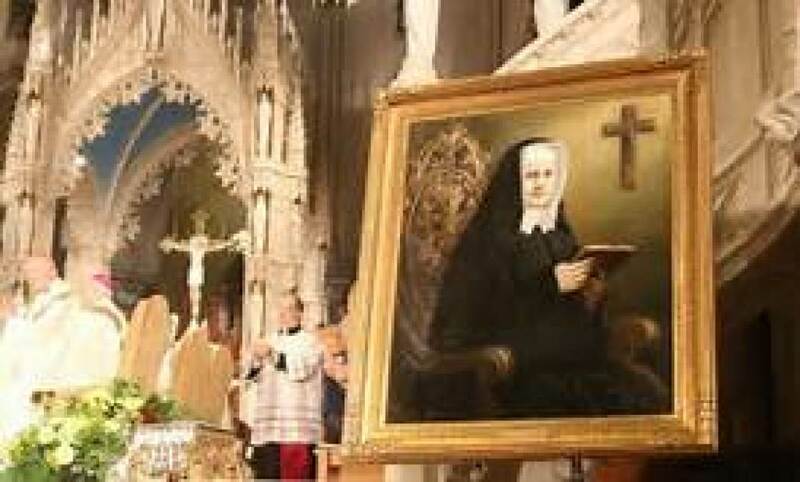 Demjanovich was beatified at a ceremony on October 4, 2014, held at the Cathedral Basilica of the Sacred Heart in Newark, NJ. This was the first time a beatification had been held in the United States. The following day,Most Rev. Kurt Burnette, Bishop of the Byzantine Catholic Eparchy of Passaic to which Demjanovich belonged, presided at a Divine Liturgy at the parish of her baptism, Saint John the Baptist Church in Bayonne. According to Sister Marian Jose, S.C., Vice Postulator of the Cause of Sister Miriam Teresa, Demjanovich's “message” is that “everyone is called to holiness." On January 1, 2016, our parish, Bl Miriam Teresa Demjanovich Parish in Bayonne, NJ was established after the merger of St. Mary Star of the Sea and St. Andrew the Apostle churches. This is the first parish dedicated to our patroness. In 2016, the major relics of Bl. 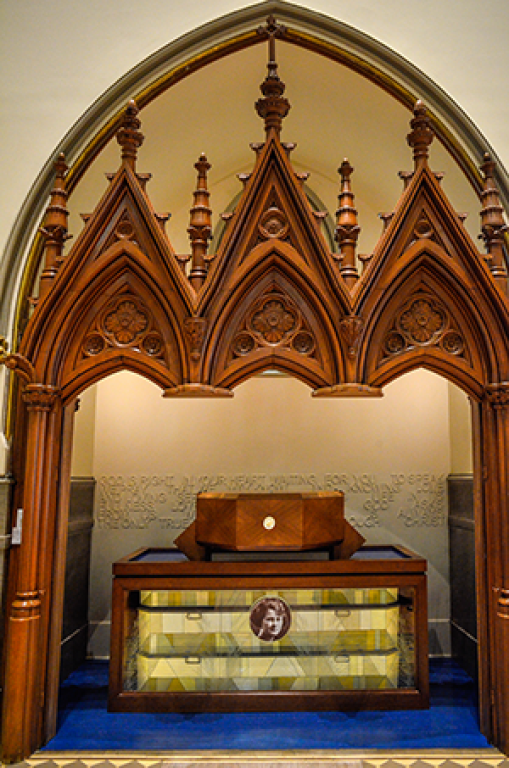 Miriam Teresa Demjanovich were tranferred to a new shrine in the Holy Family Chapel at Convent Station, the motherhouse of the Sisters of Charity of St. Elizabeth in Convent Station, NJ.